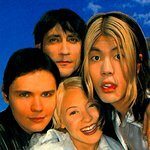 In 1998, The Smashing Pumpkins embarked on a seventeen-date, fifteen-city charity tour funded entirely by the band. 100 percent of tickets sales were donated to a local charity organization, raising over $2.8 million to charity as a result of the tour. Google trends for "Smashing Pumpkins"
We don't have any videos related to Smashing Pumpkins.